We use only Number One Grade Deerskin in our handcrafted products. The buttery soft leather is supple yet strong and durable when properly cared for. Every hide is different and includes numerous “Marks of Distinction” characteristic of life in the wild. These marks add to the natural beauty and feel of the skin. Proper care will maintain the beauty of the skin and give you years of use. to breathe is the worst enemy of leather. If your leather becomes wet, allow it to dry at room temperature without exposure to sunlight. When dry, use one of our recommended conditioners ONLY to bring back the supple softness. Using any other kind of oils, waxes, saddle soap or mineral spirit based products could clog up the millions of fibers in the leather and not allow it to breathe. It can also darken or cause the color to fade or run. 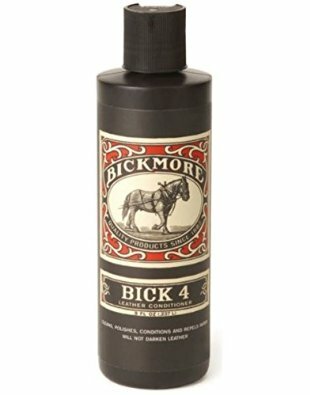 We recommend the use of Bick 4® from Bickmore or Leather Care from Apple Finishes. Your MoonDancer product has been treated with one of these conditioners during the handcrafting process. We encourage the frequent use of these products to replace the loss of natural oils during normal use. They can be used for light cleaning and will not clog the “pores” of the leather. If it becomes necessary to clean your product, hand wash in warm water using a mild soap. When completely dry, lightly condition with the recommended conditioners.